Being a mum I find it hard sometimes to stay on top of the latest fashion or beauty trends, I love lounging about in anything that resembles Pjs or Pjs themselves and when I'm in out and about I need to have on clothes that don't restrict me so I can run after my little bear whilst he's exploring the world. But I've realised that just because I'm a mum now and my life's a little different that I don't have to compromise my style, I can still feel great about how I look whilst being comfy. 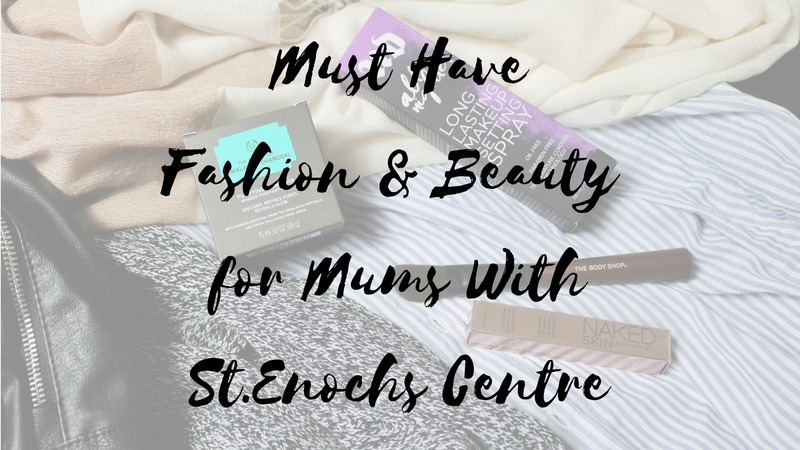 Recently I was contacted by Lucy at St.Enoch centre and I was challenged to find this seasons must have fashion and beauty for mums, naturally I accepted! It's only in the past year I realised that I didn't have to compromise my style in the name of comfort so I thought this would be the perfect opportunity to put myself to the test, find fashion that not only stays true to myself but to also find fashion that's great for any mum who is always on the go, who needs their fashion to not only look good but feel good as well plus some beauty items that will help any mother feel on top of the world. So let's get onto what I got shall we & I will walk you through my choices, why I chose them and how I feel they fit my life as a mum. First up I want to start with my Beauty picks, all of which fit perfectly into my life. 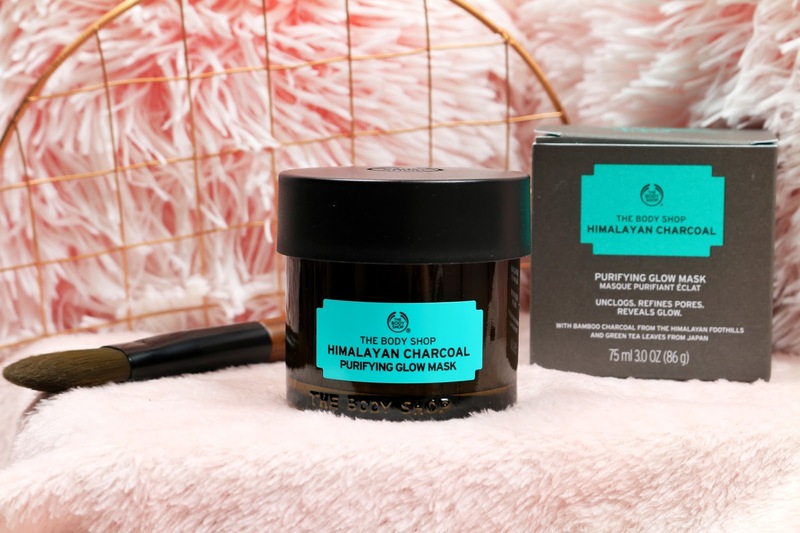 I picked up the Himalayan Charcoal face mask and facial mask brush from the body shop because my skin is always in need of some TLC and what better way to do that than with a face mask? What I love about the Body Shop face masks is that you can put them on and do what ever you have to whilst it sits on your face which for me is great! I can pop on a face mask and then start the dinner, clean the little mans room, clear all the toys away or, if I am really lucky, whilst relaxing in bed whilst little bear sleeps. Keeping my skin in great condition is number one for me because I don;t get the chance to do a full face of make up very often, my little bear just doesn't allow that now that he's at the age where he is running wild, being a little explorer, even if he is in the house so I want to get out the door as quickly as possible in the mornings and that means I can't spend a lot of time on myself, not that I mind. So I need my skin ready to go when I am and a face mask is great for helping it stay in picture perfect condition. I also picked up the Facial mask brush to help smear the mask all over my face, I remember getting a demo of it at a blogger body shop event and I always wanted one after that as it helps get the mask into all the right places on your face so it's worth investing in. The Himalayan face mask is perfect for my skin as I have used it before, I love how clean and soft my skin feels afterwards. It is a purifying Glow mask which unclogs, refines pores and reveals a glow but The body shop have a whole range of face masks for different skin needs so I am sure you could find one that suits you! The total came to £25 but by the time I bought this I only had £18.57 left on my gift card so I put the renaming £6.43 to it. Some nights I hardly get any sleep then I am back up at the crack of dawn to start the routine all over again and this can result in tired looking eyes so I need a good concealer to help me hide the tired look and brighten me up, this is where the concealer comes in! I spoke to the woman at the Urban decay counter in Debenhams and this is the one she recommended for me, she even applied it to me to show how much of a difference it would make and I was pleasantly surprised. I loved how awake I looked plus the coverage was amazing. An amazing concealer for mums on the go who need to brighten their eye area up. 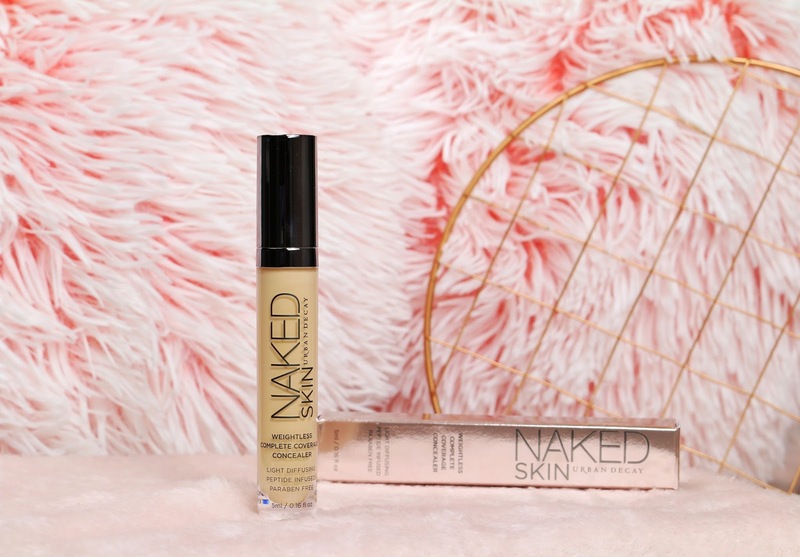 As I have hardly any time to do make up I like the fresh faced, no make up look and I have now gotten this to under 10 minutes to do which I feel is a skill all on its own haha so this concealer will really help in the make up department. No matter what kind of make up I do for the day I always have a huge problem with it coming off fairly easy, it doesn't last long at all between running around after little bear or when I'm at college, I need something that's going to help my make up last no matter what I'm doing so I decided to pick up the Urban Decay All Nighter setting spray since I have heard amazing things about it. For any mum who needs a boost to keep their make up on this seems like the perfect go to. I picked this setting spray up in Debenhams and I got the 118ml bottle but I can't find this on their website so I have linked the travel size. For me I think this is going to be the most practical beauty product of them all, no more half face make up come dinner time. Now onto My Fashion picks, All of which is from H&M in St. Enochs centre. I am such a big fan of H&M style, I'm always guaranteed to find something that fits my style aesthetic so that was naturally the shop I was most looking forward to visiting. I spent ages in there, browsing and lusting over EVERYTHING but I managed to keep myself under control, choosing items that are perfect for my lifestyle, not only do they look great, they are comfy and flexible enough for me to move in as I hate being restricted by clothes and with a little one that's not exactly the best thing. 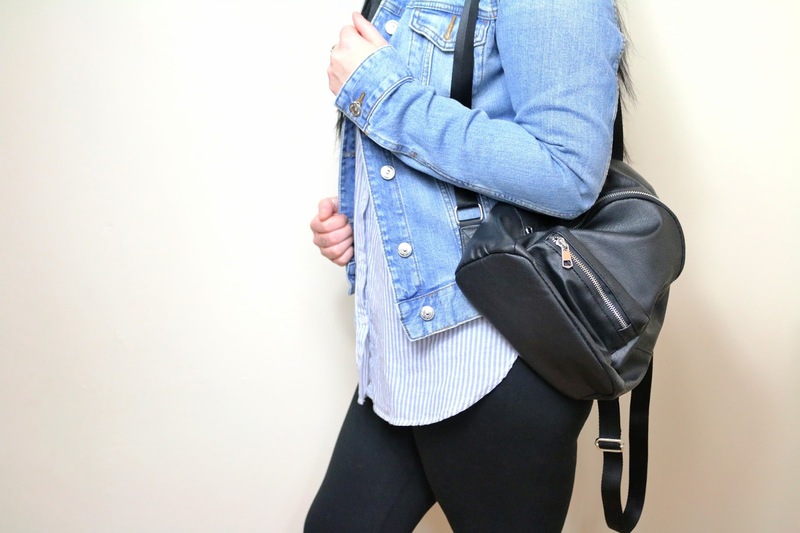 All these items that I bought are perfect for on the go mums so I'm going to talk you though my choices and why I recommend them. The first outfit is a combination of everything I bought in H&M. 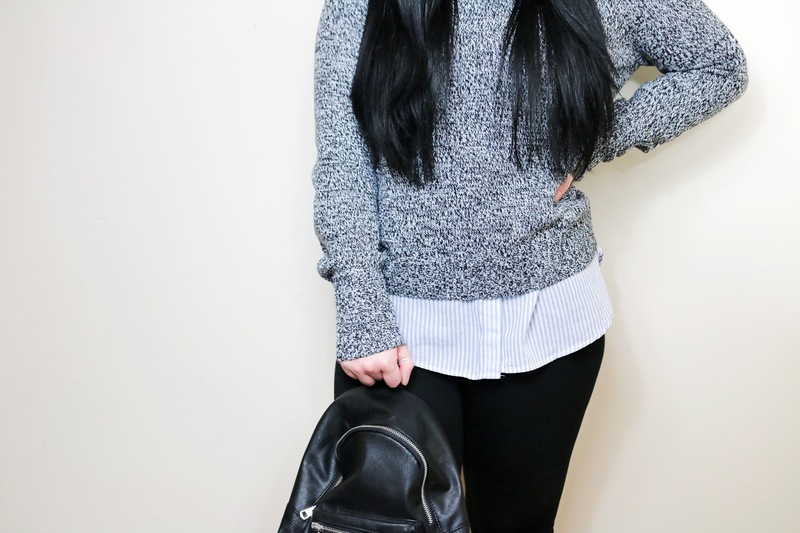 I picked up a lovely knitted jumper in grey with flecks of white and black throughout, my reasoning behind this buy was a it's still a little chilly outside so this is the perfect item for layering, you can throw a shirt or cami top underneath to add an extra layer and still fit comfortably into your jacket without feeling too bunched up. It's also light weight enough that when the warmer weather comes in you could throw on a light weight scarf with this and be good to go, like the scarf I picked up which is a beautiful combination of cream, grey and light pink. I also picked up a cotton blue and white stripped shirt which goes perfectly with the jumper and when I layered them together I felt INCREDIBLE! I didn't feel restricted by the clothes and felt like I could move easily without having to fix myself every two seconds which is a major annoyance with me when it comes to being out with little bear. For trousers I decided to get a pair of thick black leggings, they are very easy to move in, so much better than jeans which for me ticks all the boxes (although I do love a good pair of jeans) but for me leggings are great when you're out with a little one as your range of movement isn't limited plus they feel really comfy. I wanted thick leggings because I for one hate the kind you get that are super see through, that's not what I need in my life. As a mum, well, as a woman I always need a bag with me as I'm sure a lot of people do. I have so much stuff to take out with me to make sure that I am ready for anything but I hate the ones I have to carry around with my hands as I need them both free in case little bear decides to do a runner haha I opted for a cute small black backpack but don't be fooled by the word "small" It fits everything I need in it nicely (I tried as soon as I got home) plus I was able to get baby wipes and a snack for Leon in it, RESULT! Putting this on my back means I am completely free to run, skip and jump with little bear when ever he feels like it. All my purchases have a purpose and I chose them carefully. 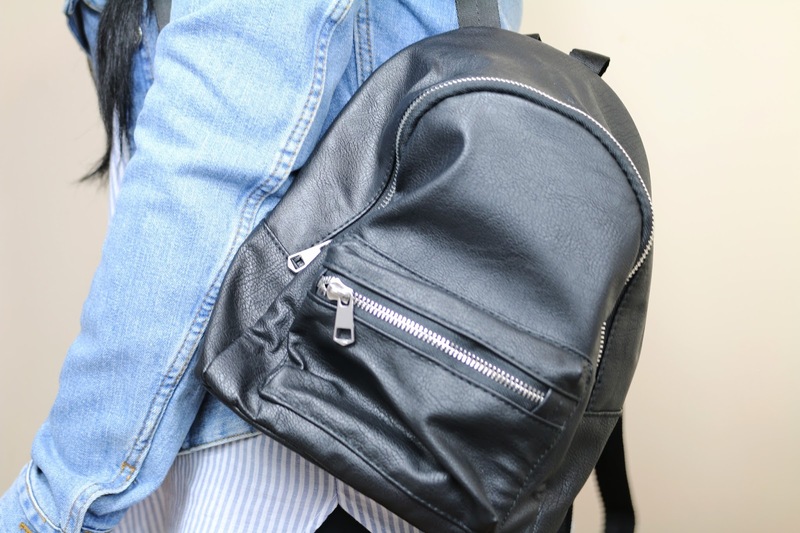 Fashion that looks good but also practical because as a mum, it's what I need. The layered outfit I put together was my favourite, the shirt didn't look out of place with the jumper and I felt really good in it plus the leggings fit nicely, it's an outfit I can use for an event, going to college, taking little bear out or even hanging with friends, so many occasions I can attend with just one outfit. After trying the all the clothes on together I tried them separate which means I now have three looks in one if I want. I can wear the jumper on it's own with the leggings, scarf and bag plus still look good. I felt really comfy in this outfit and I can see me using this for college quite a lot, my class mates know me as the girl with all the jumpers as I tend to wear a lot of them haha so this will fit in with that very nicely. I also like that the scarf goes so well with both the layered outfit and the jumper + leggings. The weather is still chilly and this adds some extra warmth whilst keeping me feeling stylish. 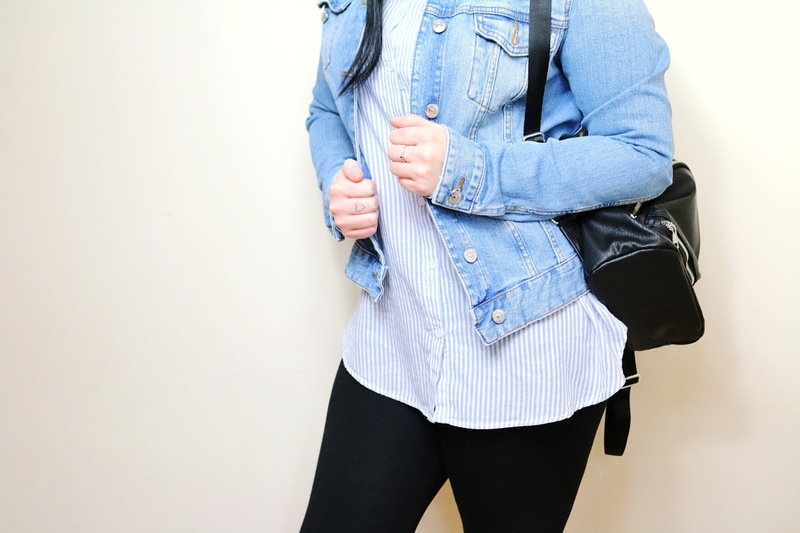 The next outfit saw me pair the cotton shirt with the leggings, the bag and a denim jacket which I can see being perfect for spring. The shirt isn't too short which I like, I feel comfortable in it as it's not a tight fitted shirt either. the stripes add a nice detail, I am a sucker for stripes and this is very much "Me". This outfit happened to be my grans favourite, she loves these kind of shirts as well and I think she would pinch it if she had the chance haha. I felt good in this, it's an outfit I can see me wearing when I'm out with friends or attending an event but also something I could wear on a mummy day out with the kids or taking little bear for lunch. I like that it's so versatile for the places I can wear this to. I am so in love with my choices, I can't believe I managed to get three outfits in one basically for £53.95 and that's including the bag plus scarf. It's comfy fashion that also looks good and I really like that I could wear some boots to jazz it up a little or wear my vans to make it super casual, the possibilities with these pieces are great. Please note that some products are showing in different colours on the website to what I actually bought and I can't find them anywhere on the site but I have linked them anyway. Also, the denim jacket photographed is also from H&M but this was bought last year. I can't thank St.Enoch enough for this opportunity, I love every moment of it. Browsing the shops and seeing all the amazing spring fashion that's about really gave me some great inspiration. I can't wait till I can next get back into Glasgow and pick up some more pieces for my wardrobe, I really do need an overhaul. St.Enoch really does have it all, plenty of shops like Debenhams, H&M, Quiz, Dorothy Perkins and more where you can get your fashion fix then shops like The body shop, Boots, Debenhams again where you can get everything beauty and skincare related. There is such a wide variety making it the go to place for some retail therapy then a bit to eat as they have a pretty amazing food court. I also want to thank all the staff I interacted with when I was out shopping at St.Enoch, everyone was super helpful and made the day even better and a special thanks to the lady at the Urban Decay counter who was more than helpful when I was asking my questions. There are some really nice items here Jordanna and I especially like the backpack. 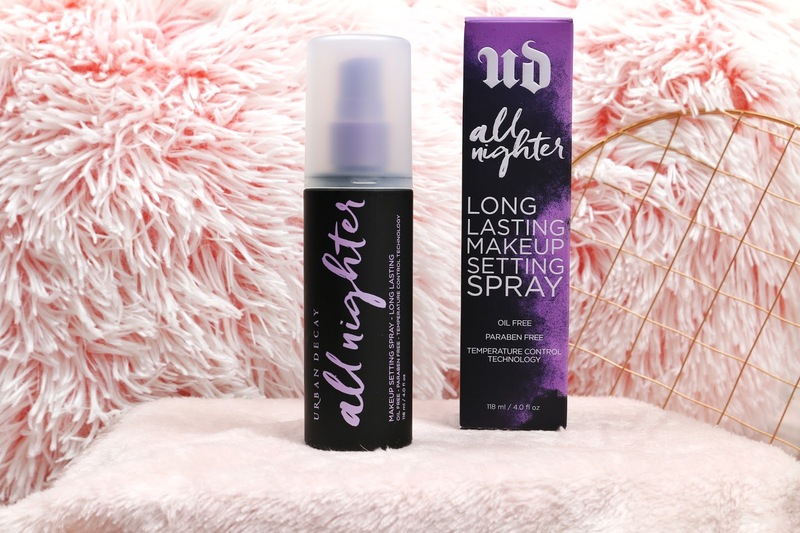 Some fab items here I love the idea of the Urban Decay setting spray because I always feel like my make up has totally faded half way through the night. Oh I want to try that product to keep your name up on. I always wonder how people look so good at 3pm as Imine has always come off by then!!! It's been a while since I went to St Enochs. Loving the sounds of the Himalayan charcoal mask! I have the makeup setting spray and it is brilliant. Really keeps makeup in place. Worth the investment. The Charcoal mask from body shop is the only one i use now - it really is amazing! I love the look of the charcoal mask, I've been dying to try the body shop for such a long time now! Same with the all nighter spray, think I need to bite the bullet and invest once and for all ! Love the outfits - especially that scarf!